Zetadocs with over 60 customers. "Zetadocs Expenses enhances our proposition for new business sales." Zetadocs helps you streamline business processes, freeing you from paper and improving the way your business operates. It integrates with Microsoft Dynamics 365, Microsoft Office and SharePoint, as well as other CRM, ERP, accounting and business applications. 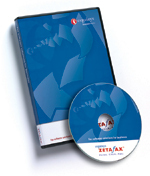 Zetafax is reliable fax server software that is easy-to-use, scalable and feature rich. Write, send, receive, forward and store fax documents directly from your desktop. 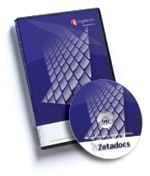 Now, Zetafax Duo adds the power and features of Zetadocs PDF to Zetafax, providing a highly visual 'document builder' to assist with the production of business documents for emailing as PDFs, as well as faxing. Timemaster is timesheet, expenses and project management software for consultants, architects, local authorities and professional services firms. Zetadocs Expenses is simple and yet suitably flexible for a company that uses NAV. Expenses are quick and easy to enter and approve, with users training themselves and your finance team spared from needing an expenses system expert. Contact your NAV partner to learn more.